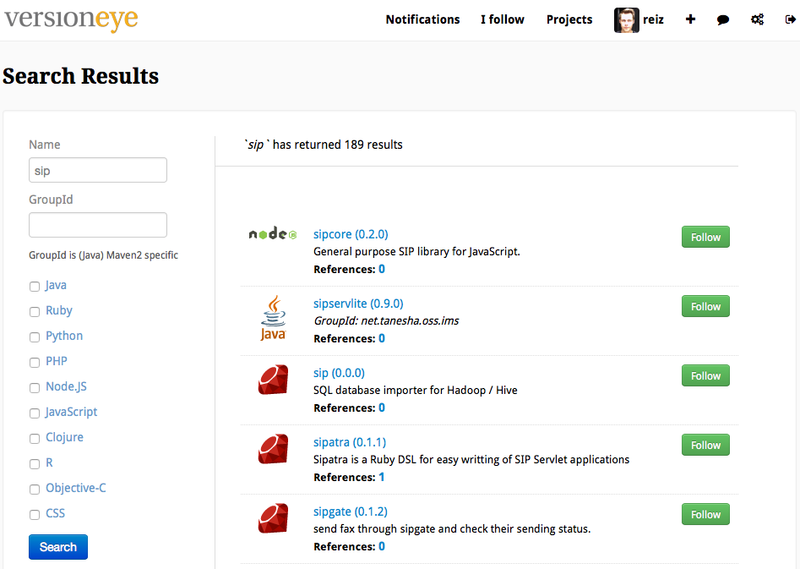 VersionEye is currently tracking ~500K open source libraries. Most of them are library projects you can find on different repository servers such as RubyGems, NPM, Packgist and so on. 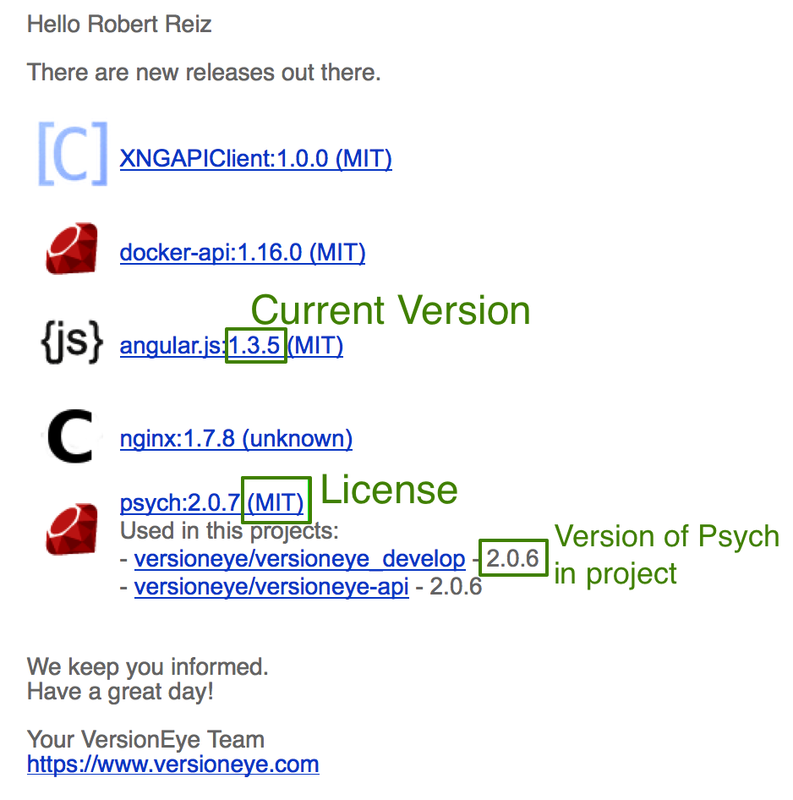 VersionEye is tracking meta information about these software packages, such as version, license, description and so on. The VersionEye database is accessible via the search field on the landing page. Of course it contains a list of the software packages with the current version. And now in the updated version also the current license in the brackets. If your VersionEye Account is setup with GitHub/Bitbucket and VersionEye is watching some of your GitHub/Bitbucket projects as well, the email will include a sublist with the projects where you are using the software package. Let us know how you like this new email format.